As far back as I can remember, passion has kept me alive. When I was a small child and I felt like there was something wrong with me because I was different, this passion comforted my heart and helped my know that somehow I was here for a reason. It started as a thread of hope, a glimmer of light, a sparkle that lit a sea of uncertainty, warming my soul, and allowing my fragile heart to begin to blossom safely. This weekend, I was reminded so beautifully of what that passion felt like as a young person, as I was privileged to witness young people ages seven through fifteen perform music at our fall recital. For a young person to have the courage to stand in front of an audience of their peers and present a deep expression of who they are through music amazes me every time. I am humbled and honored to be a part of the unfoldment of these young musicians. In particular, I’m inspired by those students who step outside of the normal confines of a typical “music recital” and arrange a piece of music, write original music, or perform anything outside of their comfort zone. This fuels my heart and soul to continue to follow suit. Learning to be vulnerable and to take risks in any arena can be daunting. But using the voice, the body and the energy of the heart to express deep emotion takes a special kind of courage. I’m not talking about talent. Although several of the students are “talented,” that isn’t the point at all. It’s not a contest nor is it a showing of the ego. A recital provides a unique moment in time, a snapshot if you will, as a venue for connection, vulnerability and self-expression. Cultivating the courage we require as adults starts at a young age. What a beautiful opportunity these young people have been afforded by their families to take this visceral plunge into the depths of their soul if they so choose! For me personally, not just as a young person, but as a teenager, college kid, and adult, music kept my flame lit. At the times I wanted to curl up and die of shame, music caressed the very fabric of my soul. At the times I felt I was worthless, unloveable and a failure, music reminded me that amidst pain we find the richest beauty. In my most difficult trials and travails, music sang me awake again, gently weaving my heart into a place of comfort. In those moments, I truly lived. It was as if a chasm opened, a parallel universe where nothing mattered except my breath, my beating heart and the sweet swirl of melody running through my fingers. When I was in the music, I was truly in ME. You know what your heart craves, what your body needs and how your mind most easily falls into the energetic and peaceful hum of passion. You know what stirs you, keeps you alive and feels like home. You know, better than anyone what makes your heart sing and your soul rest in the light of it’s own truth. 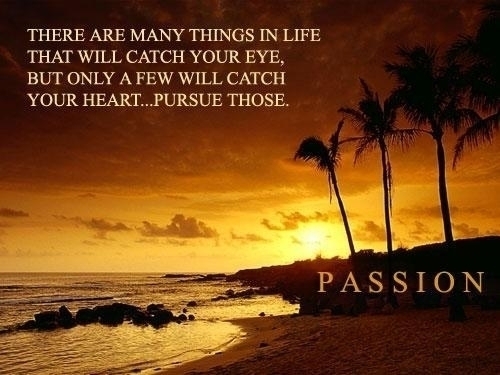 That is your passion. 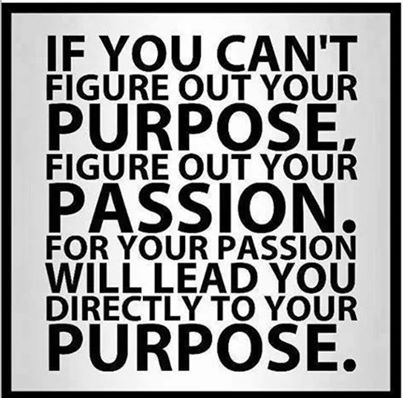 It doesn’t matter what the passion is, or how you define it. It only matters that you honor the callings of the universe and pursue it anyway you can, as deeply as you can and as often as you can. When each one of us honors that beautiful part of our soul, ALL of humanity is blessed in turn. Be present to your passion. This entry was posted in passion and tagged #authentic, #authenticity, #bethechange, #betrue, #grow, #love, #music, #onelove, #passion, #purpose, #recovery, #selfhelp, #tothineownself. Bookmark the permalink.